Onion dosa is a popular Indian street food. 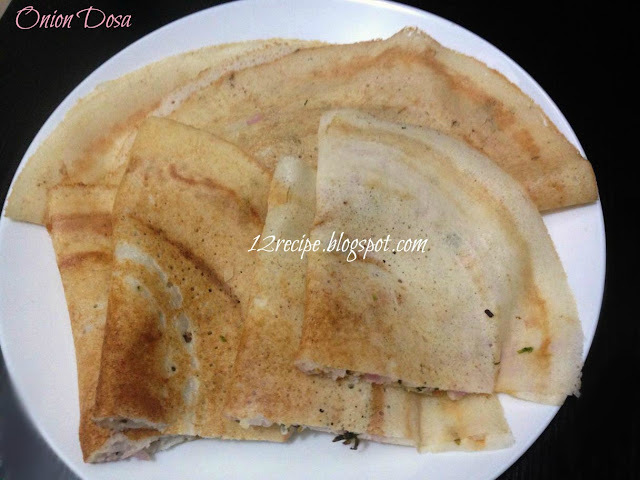 It is made with the typical normal dosa batter. 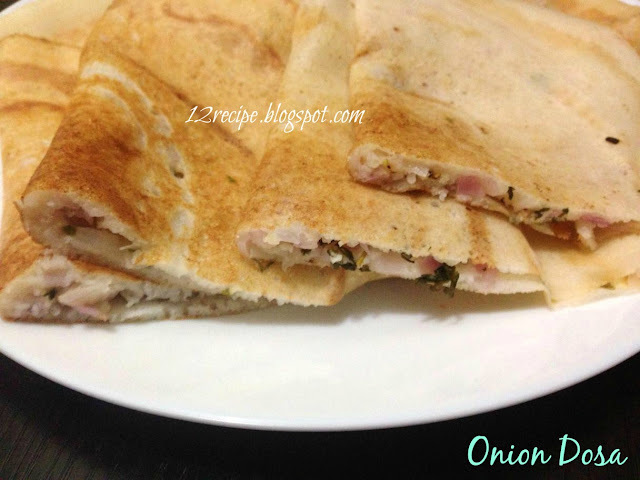 The crunchy onions gives a nice taste to the dosa and is quick easy to prepare. Pour a ladle of batter in to the hot tawa and spread the circles. Spread a handful of onion chopped on top also a tablespoon of green chilly, coriander leaves, and curry leaves chopped. Press it gently with your hand or ladle. Add a teaspoon of oil on top of it. Cook until bottom gets golden in color and start leaving from the sides. Fold it and add in to the serving plates. Serve hot with chutney or curry.